Evan and I met Allison in college where all three of us studied photojournalism. At the same time, a mutual involvement in our university's ROTC and a shared interest in Firefly is what brought Matt and Allison together. They bonded over nerd culture, music, their desire to fly Blackhawk helicopters, and they started dating. A few years later, and it was their wedding day! Allison and Matt were wed in her family church. This small town chapel was so unique and the sentimental value made for a perfect ceremony. When circumstances kept Allison from starting hair and makeup on time, all four bridesmaids pitched in to get her down the isle just after two o'clock. The couple's vows contained an impressive amount of references to the shows and movies that brought them together ( as well as a promise from Allison to never leave Matt for Nathan Fillion) and kept the guests smiling and laughing. After a hand fasting ceremony, the couple exited the church through a saber arch before heading to the reception. 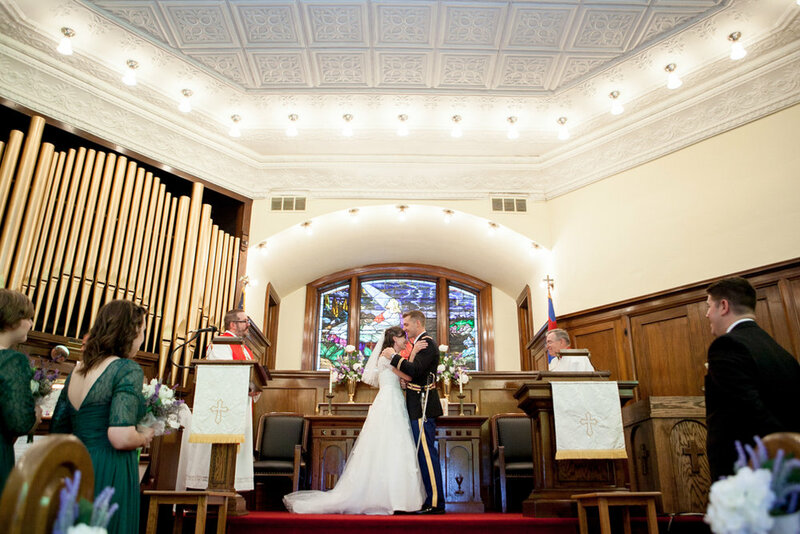 The couple chose the gorgeous Post House Ballroom in Dixon for their reception, a beautifully restored post office turned reception space. The giant chandeliers lit up the dance floor as the couple wowed guests with their choreographed first dance set to Fly Me To The Moon. Guests soon joined them on the dance floor, and Allison occasionally snapped a few photos of her own, as you can see in the last photo. 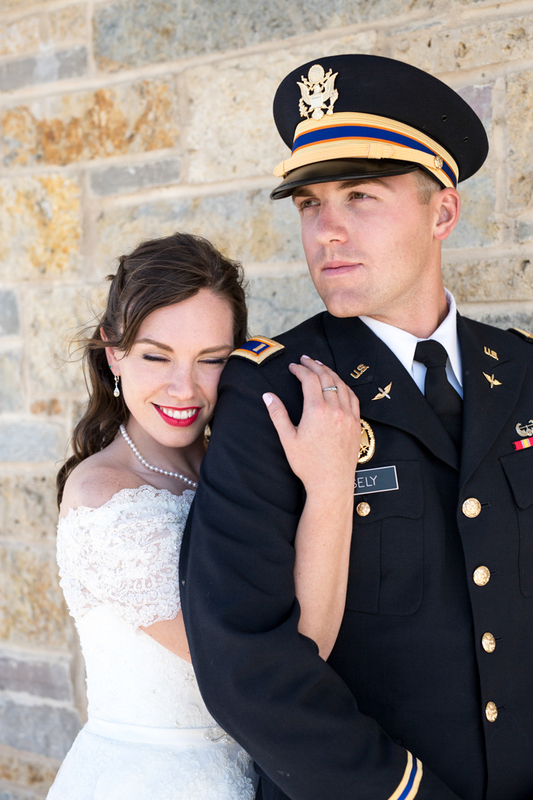 The vintage style dress and groom in a uniform made the wedding feel like a fairytale, and we can't thank the couple enough for allowing us to be a part of their big day! You can find their engagement session here for more military and geeky inspired photos.